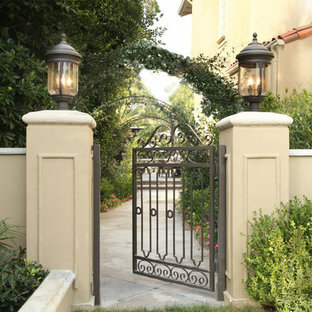 The arched trellises and new wrought iron gate lead the way to the backyard. 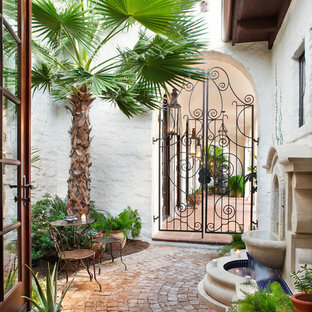 Inspiration for a large mediterranean side yard stone landscaping in Los Angeles. Photo of a traditional landscaping in Dallas. 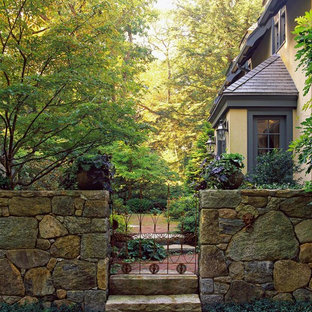 For this Boston-area former hunting lodge, featured in Outside the Not So Big House by Julie Moir Messervy and Sarah Susanka, JMMDS created a landscape design that anchors the house in the site and complements its Tuscan-inspired architectural update. 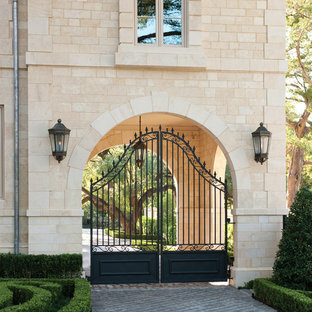 An antique openwork wrought-iron gate provides access from the driveway to the courtyard and breaks up the solidity of the stone walls, crafted by an italian stonemason. The winding, informally-planted brick path leads to the back door, in contrast to the formal front entry. Photo: Grey Crawford. 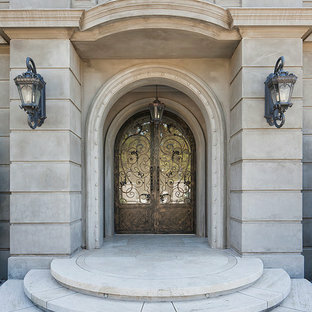 French provincial door and entrance. 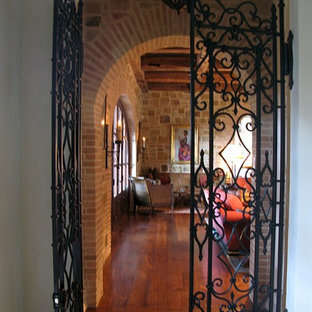 Custom door is all wrought iron, with glass inserts. Lighting is custom designed. 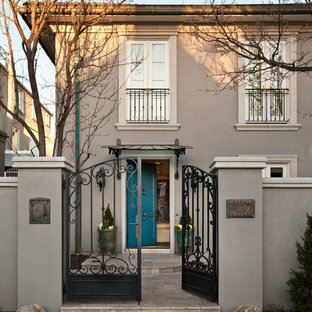 Double door entry way with a metal and glass gate followed by mahogany french doors. Reclaimed French roof tiles were used to construct the flooring. 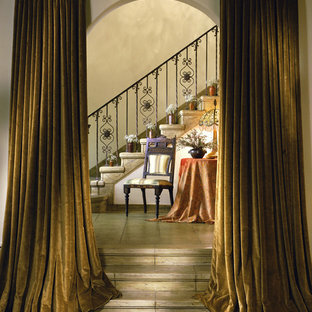 The stairs made of Jerusalem stone wrap around a French crystal chandelier. Design ideas for a contemporary front yard brick landscaping in Los Angeles.